Este documento en formato PDF 1.4 fue enviado en caja-pdf.es el 06/08/2017 a las 21:45, desde la dirección IP 189.166.x.x. La página de descarga de documentos ha sido vista 1815 veces. Tamaño del archivo: 28.8 MB (367 páginas). © 1963 by The University of Chicago. All rights reserved. Published 1963. Paper for Printed Library Materials, ANSI Z39.48-1992. his devoted labors, skill, patience, and wise understanding of the problems. Guide of the Perplexed has long felt that such a new translation was necessary. mentioned, rather than the social. by Issachar Joel (Dallilat al-l}lPirin; Jerusalem: J. Junovitch, 5691 [1930/31]). meaning of the terms applied to God in nonfigurative speech? 5. Legal study of the prophecy of the prophets other than Moses (II 411. The Guide consists then of seven sections or of thirty-eight subsections. that does not permit of being divided into subsections is divided into seven chapters. forest: it is a delight to the eyes. For the tree of life is a delight to the eyes. by it. Enchanting understanding is perhaps the highest form of edification. accessible to man as man; Maimonides starts from the acceptance of the Torah. available idolatrous books of this kind with the utmost thoroughness. Nor is this all. is not a public but a secret explanation. The secrecy is achieved in three ways. declares both that a is b and that a is not b, he cannot be said to declare anything. the subject matter of the Parts or of the chapters. not entirely devoted to secretly transmitting chapter headings of the secret teaching. open with chapters devoted to speculation, yet the opposite is manifestly true. speculation with the subject matter of exegesis may be said to be the secret par excellence of the Guide. addressed neither to the vulgar nor to the elite. To whom then is it addressed? book is addressed to such perfect human beings as are Law students and perplexed. manner. It appears that Joseph was inclined to proceed impatiently or unmethodically in his study and that this defect had not been cured when he left Maimonides. precedes divine science in the order of study. that he knows them through having studied natural science (cf. I 17, 28; III 10). the science of God and the angels while he advances in the study of the Guide. at the point of the road where speculation branches off from acceptance of authority. natural science has this corrupting effect on all men who are not perfect (cf. I 62). degree. He acts as a moderate or conservative man. But we must not forget that the Guide is written also for atypical addressees. all chapters of the Guide (I Introd. ; I 55, 68 end, 73, tenth premise). holy bodies,&quot; to use the bold expression used by him in his Code (M. T., H.
the habit of relying on revered &quot;texts,&quot; i.e., on their literal meaning (I 31). i.e., with showing that their true meaning is not always their literal meaning. to traditional interpretations that differed considerably from the literal meaning. prepared to listen to Maimonides' interpretations as authoritative interpretations. in the circumstances the natural substitute for natural science. fundamental truths, the preceding ones being the existence of God and His unity. true meaning of revelation is the task of exegesis, exegesis precedes speculation. of the demonstration until he has advanced into the Second Part (cf. I 1, 9, 18). a single reference to Onqelos (I 2). The chief reason why it is so urgent to establish the belief in God's incorporeality, however, is supplied by the fact that that belief is destructive of idolatry. Law has, so to speak, no other purpose than to destroy idolatry (I 35, III 29 end). (cf. I 56 with M. T., H. cAbodah Zarah I 1). other gods as well as the worship of both natural things and artificial things. implying that those holy bodies deserve more than man to be called images of God. he does not even mention the Kalam. the Guide, remember always that they are intentional, and ponder over them. devoted to &quot;foot&quot; and another to &quot;wing&quot; but none to &quot;hand&quot; nor to &quot;arm&quot;? in the whole rest of the book there occur at most two such chapters (I 66 and 70). and twenty of them begin with Hebrew terms forming part of the first sentence? individual biblical author- may fulfill different functions in different contexts. wish to be &quot;disquieted,&quot; i.e., they wish to rest in peace, or for other reasons. descendants of Adam, who lack Adam's pristine intellectuality (cf. I 2 with I 10). a consequence of his disobedience to God or of God's punishing him for that sin. he turns both to the terms applied in that passage to God and to kindred terms. apparent temerity; in fact, he is prompted only by his desire to know the truth. connecting his exegesis with Onqelos'. 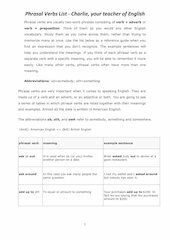 subject &quot;descent and ascent&quot; by treating it in a nonlexicographic chapter surrounded on the one side by four and on the other side by three lexicographic chapters. unchangeability not contradicted, as he indicates, by God's threats to destroy Israel. Joseph Albo's Roots. Albo was a favorite companion living at the court of a great king. one thing to observe these regularities and another thing to understand them. somehow holds the key to the mystery of the second subsection. III 35 being the chapter that serves as the immediate introduction to III 56-49.
deliberately contradicts himself. The following example may prove to be helpful. that opens each Part of the Guide as well as other writings of Maimonides. bodies leads to disaster in agriculture whereas worship of God leads to prosperity. No less important an adaptation to Sabian habits is the corporealism of the Bible. (I 36), but, as we have seen, idolatry is one thing and corporealism is another. transmitted by the Law, as well. Undoubtedly Maimonides contradicts himself regarding Moses' prophecy. end). His refusal to speak of Moses' prophecy has indeed a partial justification. those divine things that are not accessible to human speculation or demonstration. thoroughly indecent (I 32, II 25). Yet this solution does not satisfy Maimonides. other biblical books on the other in III 54). text of the Bible, in order to introduce moral lessons not found in the Bible (III 43). He indicates that he will not stress his critique of the talmudic Sages (III 14 end). not mean, however, that Maimonides regarded his age as the peak of wisdom. early stage to the difference between the biblical and the post-biblical teaching. the Bible on the one hand and the post-biblical writings on the other as unities. with the Torah is, to begin with, an iron bond; it gradually becomes a fine thread. the intellectualization of the Torah. limitations, to the harm that may come from it and to the dangers attending it. men - within the context of forbidden worship. regarding &quot;the living God&quot; (cf. I 30 and 41). of Unity; Unity had been the presupposition, an unquestioned presupposition. the Torah; in the eleven chapters of the fifth subsection ten such chapters occur. except attributes describing His actions. Este archivo fue compartido por un usuario del sitio. ID del documento: 00042320.